The end of each year brings the customary “best”, “worst”, and “newsworthy” lists for various subjects such as sports, political events, and movies. Any list describing the most significant political events of 2011 will undoubtedly include the Arab Spring—a series of events kick-started on December 2010 by a fruit vendor, named Mohammed Boauzizi, in the town of Sidi Bouzid, Tunisia. Mohammed’s self-immolation began the Tunisian Revolution which resulted in the resignation of their 23 year president Zine El Abidine Ben Ali. These events provoked a series of revolutions and demonstrations throughout the Arab World. It led to the overthrow of Hosni Mubarak in Egypt, the death of Muammar Gaddafi in Libya, and the resignation of Abdullah Saleh in Yemen. In addition, there have been major protests in Syria, Bahrain, and other Arab nations. There have been many causes for the Arab Spring such as high unemployment, inequitable distribution of income, the disenfranchisement of voters, high food prices, government corruption, nepotism, and the suppression of basic freedoms. The call for greater accountability in government officials had been evident in the protests and uprisings as the citizens of the Arab world became tired of the substandard treatment handed out by their governing officials along with the lack of transparency in the governing process. This has not been exclusive to the Arab world as the same concerns have arisen in Russia with numerous protesters against election fraud in Russia’s latest elections. The Arab Spring raises numerous issues in political philosophy such as the justification of the state, the nature of the state, and the role of the state, liberty, and property. All of these concepts are evident in these monumental series of events. Plato, Aristotle, Thomas Hobbes, John Locke, and Jean Jacques-Rousseau are believed to be the foremost political philosophers of Western Civilization. However, the 17th century British philosopher, John Locke, holds a special place in American political thought. His views had a great impact upon the Founding Fathers of our country, particularly James Madison and Thomas Jefferson and served as the philosophical foundation for the Declaration of Independence and the Constitution. Like Hobbes and Rousseau, Locke believed in the social contract theory. This theory states that there exists an arrangement among the governed to submit to a common authority. As a result, the governed surrender themselves to a sovereign authority. This theory is an attempt to answer the question, “What justifies the existence of the state?” Hobbes, Rousseau, and Locke were avid proponents of the social contract because they felt that the existence of the state was necessary for the flourishing of mankind. Locke is famously known for his emphasis on individual liberty and personal autonomy. This emphasis served as the principal philosophical catalyst for the independence of our country. Locke believed that human beings are naturally free and equal. They are not naturally under the authority of another person or persons. Unlike Hobbes who argued for absolute power to the sovereign authority and argued against resistance against the sovereign, Locke argued that the governed do not surrender all their rights simply because they participate in the social contract. The governed retain their basic freedoms and these freedoms place limitations on the power of the governing authority. According to Locke, a government is legitimate if consent is provided by the governed. However, there are those who have not given express consent to an authority or government. This group of people gave tacit consent by accepting the benefits of their government. They have tacitly consented to their government and burdens imposed by their government. Although they have not consented explicitly, the fact that they accept and enjoy services under the jurisdiction of the government produces an obligation on the governed to obey their authorities. The difficulty with tacit consent is the degree to which the consenter is bound or obligated to the government to which she is consenting. Locke did not believe that express or tacit consent permitted a government from ruling with no restrictions whatsoever. Locke was clear, for example, that a government that devolved into tyranny was no longer the legitimate ruler of the governed and the governed were justified in resisting the authority of the government. Locke appealed to the Founding Fathers because of the relationship he advocated between a legitimate, consented government authority and the basic freedoms that the governed deserve. As I mentioned previously, high unemployment, disenfranchisement of voters, government corruption, high food prices, and suppression of basic freedoms coupled with preexisting rifts such as tribal and religious divisions (e.g. tribalism in Libya, Sunni-Shia division in Yemen) explain the Arab Spring. These causes show that the governed in the affected countries were justified in resisting their authorities. The governments of these countries strongly restricted the rights of the governed. Journalists were not free to report the news; the government censored the Internet and imposed penalties on citizens who chose a different religion other than Islam; it prohibited the governed from freely assembling and expressing their views and interfered with property rights; the government also refused to hold fair and democratic elections. These reasons and others are why Locke probably would agree that the citizens of the Arab Spring were justified in resisting their governing authorities. Their individual rights were violated and the governed is not under any obligation to submit to tyrannical authorities who govern with no regard to the individual rights of their subjects. 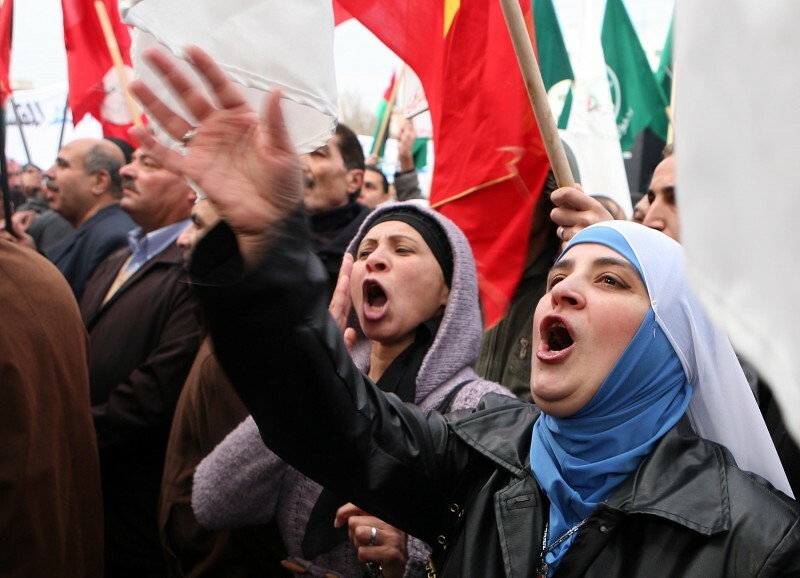 Whether the Arab Spring will produce positive changes for the Arab world is yet to be seen. The effects of the Arab Spring will take time to be measured. However, looking at the Arab Spring through the eyes of John Locke shows us that the citizens of the Arab Spring possess rights independent of the state and they have made this point known loud and clear.